Manchester City travel to face Bristol City in the Carabao Cup semifinal 2nd leg, looking to avoid the very first upset of their impressive season. You can't miss our Bristol City vs Man City betting preview with expert predictions, betting tips, probable lineups, team news, enhanced odds, exclusive offers and no deposit free bets! Bristol City have kept their hope alive with a slender 2-1 defeat at The Etihad in the first leg. The Robins have knocked out four Premier League clubs in this competition - Watford, Stoke City, Crystal Palace and, most notably, holders Manchester United. They recorded a bore draw away to Derby on Friday and are now winless in six matches in all competitions, a run which has seen them dipping to 5th in the Championship table. Few changes are expected from the side that lost 2-1 in the first leg. Anyway, Nathan Baker and Frank Fielding are both doubtful after theycame off at half-time in Friday's match. Bailey Wright and Matty Taylor are not 100% fit but the former is expected to start as right back, in a four man backline which will include Aden Flint, Famara Diedhiou and Hordur Bjorgvin Magnusson. Up front, Jamie Paterson will support Bobby Reid in a 4-4-1-1 formation while Marlon Pack, Korey Smith, Josh Brownhill and Joe Bryan should all start in midfield. Claim a HUGE 28/1 ANY GOAL to be scored in Bristol City v Manchester City! Manchester City recently suffered their first domestic defeat of the season at Liverpool (4-3). The Citizens survived a second-half scare to record a deserved 3-1 victory over Newcastle on Saturday evening and still top the table 12 points above Man City. Anyway, the Premier League leaders are winless in two away matches, their worst streak this season. One of the main issues they are having at the moment is an inability to keep a clean sheet - Guardiola's men have conceded in their last five matches in a row (against Liverpool, Watford, Burnely, Bristol City and Newcastle). Oleksandr Zinchenko and Danilo are in contention for the left-back spot with Fabian Delph out injured and Benjamin Mendy a long-term absentee. Gabriel Jesus is still sidelined, meaning that Sergio Aguero will continue to lead the line, with Raheem Sterling and Leroy Sanè expected to keet their place as wingers. In midfield David Silva should be replaced by Ilkay Gundogan. The former Dortmund's playmaker will join Kevin De Bruyne and Fernandinho in the middle of the park. Vincent Kompany remain out through injury. As a result John Stones will partner Nicolas Otamendi at the heart of the defense. Man City to beat Bristol City @ 25/1! 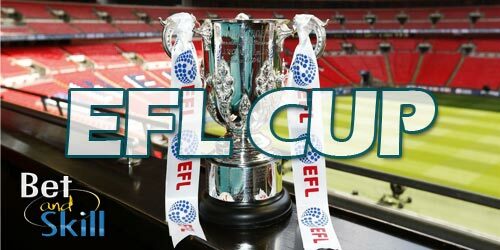 "Bristol City vs Man City predictions, betting tips, lineups and free bets (23.1.2018)"